BAFTA Scotland launched the Cineworld Audience Award in Glasgow on Tuesday 8 October, giving Scottish film lovers their chance to choose which shortlisted film will win the coveted award at this year’s ceremony. Once again BAFTA Scotland has teamed up with Cineworld, one of the UK’s leading cinema groups, and The Scottish Sun, to bring eight exciting home-grown films back to the silver screen. The names of the films were revealed at a launch event in Cineworld’s Renfrew Street cinema by Alan de Pellette, Acting Director of BAFTA Scotland. The winning film will be announced at the star-studded British Academy Scotland Awards, which will take place at the Radisson Hotel, Glasgow, on Sunday 17 November. The annual awards recognise, inspire and celebrate emerging screen talent from all over the country and give up-and-coming practitioners an all-important platform to showcase their work to the wider industry, and this year is no exception. 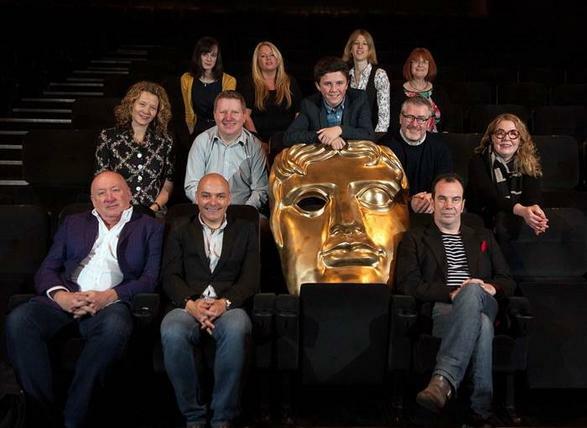 From left to right: Ray Burdis (The Wee Man), Alan de Pellette (BAFTA Scotland), Emma Davie (I Am Breathing), Mick McAvoy (STV, Fire In The Night), Rebeka Venters, Rebecca Lee, Kim Donnachie and Linda Stuart (back row, The Happy Lands), Daniel Kerr (centre, The Wee Man), Nick Higgins (We Are Northern Lights), May Miles Thomas (The Devil's Plantation), Gavin Mitchell (Sawney: Flesh of Man).